The World is Helping Ukraine. Can Ukraine Help the World? The world is not in a healthy state. It needs some help in healing itself, in revitalizing its values of freedom, dignity of individual, supremacy of law, social justice (rather than focusing just on money). A shift from the “win-lose” to a “win-win” game is necessary through a shift to acting out of the sense of obligation in the spirit of cooperation. Ukraine can be of help in the process because it has gone through a very painful process of rebirth of a nation, with values and behavior mentioned above, which could be useful for the world to be conscious of. Format: one-day conference with two panels each followed by discussion. VIP guests (up to 100) – MPs, governmental officials, heads of diplomatic missions to Ukraine, scientists, civil activists, scholars from leading Ukrainian Universities, representatives of socially responsible businesses. Heads and active members of progressive youth organizations (Plast, European Youth Parliament-Ukraine, AIESEC, Association of Students Self-Government), heads and members of pro-active civil organizations (Western-Educated Professionals for Government of Ukraine, Nova Krayina, Foundation of Regional Initiatives), heads of NGOs interested in the topic. Total number of guests planned: up to 500. Prof. Heitor Gurgulino de Souza, President, World Academy of Art & Science, World University Consortium; Vice President, Club of Rome. Prof. Ivo Slaus, Honorary President, World Academy of Art & Science; Member, Club of Rome. Can Ukraine Help the World? Music Performance by the state chamber ensemble "Kyiv Soloists"
International authorities agree that the world is suffering from significant systemic problems and requires radical changes. The evidence of global democracy crisis can also be seen from the recent events in Ukraine. Societies, governments and international community need new paradigm of values. The participants of the international conference «The state of the world, the need for a new paradigm and the role of Ukraine in it» discussed the specifics of the new paradigm and Ukraine’s role in its formation. 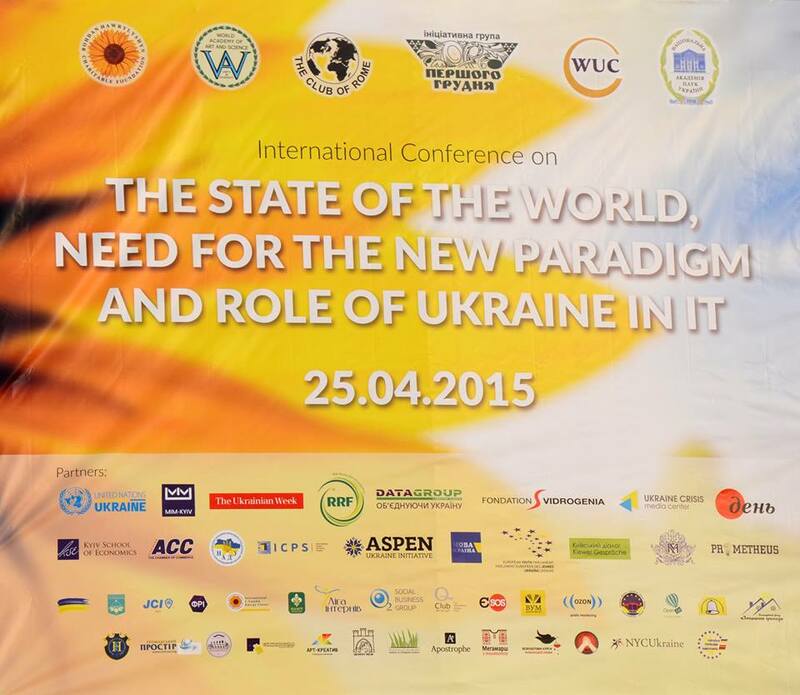 The conference was held in Kyiv on April 25, 2015. It was organized by Bohdan Hawrylyshyn Charitable Foundation (BHCF) together with World Academy of Art and Science (WAAS), World University Consortium (WUC), Club of Rome and supported by National Academy of Sciences of Ukraine. Academics, public figures and businessmen were unanimous that we live in a time of unprecedented changes in: technology, ecology, population growth, transformation of societies and natures of work. 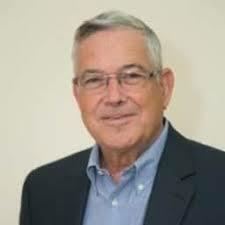 According to Ivo Slaus, Honorary President of WAAS: « the modern world is global, interdependent, fast changing, uncertain and characterized by destruction of natural and human capital. People are destroying the environment and wasting the most valuable human capital». 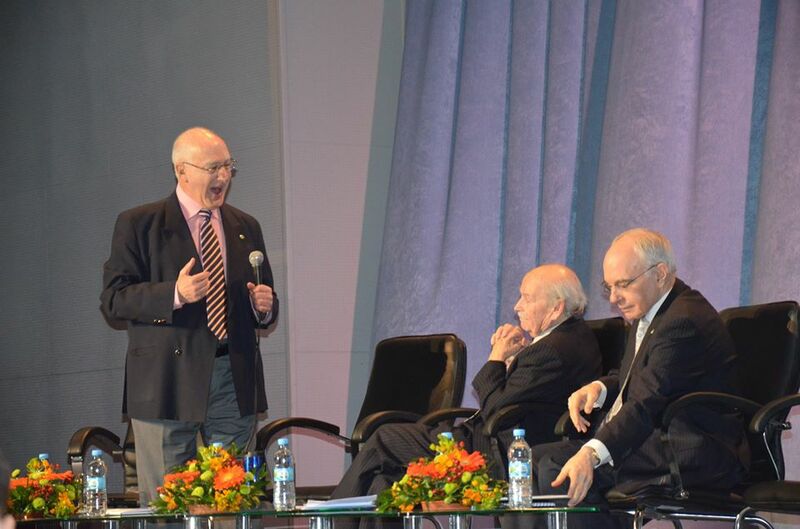 Garry Jacobs, CEO of WAAS, in its turn emphasized also the security problems and the failure of global governance. He stressed that, at the end of the Cold War, the world had missed the opportunity to build a truly global cooperative security system and to extend the principles of democracy to institutions of global governance. «We have the paradox: unmet needs, on the one hand, and underutilized resources, on the other. Our potential is greater than our needs». The solution Garry Jacobs proposed lies in values-governed society. In his view, the current crisis gives the opportunities to change the paradigm, to use resources efficiently for the people’s benefit, to abandon growth for growth's sake. It means financial regulations that support the real economy, recognition of the right to employment, ecologically sustainable economy, universal access to quality higher education, abolition of nuclear weapons, transdisciplinary social science, and transformational and effective leadership. Faced with such challenges, each individual needs to rethink its values. This statement launched the panel discussion on education. As Alberto Zucconi, Secretary General of WUC said, «we need a paradigm change in education in order to enable people to deal effectively with the mounting challenges facing humanity. We need to protect and promote human and environmental capital. Education has to be relevant to people’s needs». 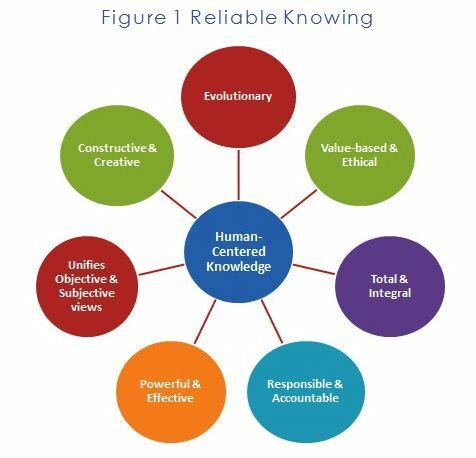 People now need skills to operate on intersectorial and interdisciplinary levels. A necessary shift in education is needed from memorization to critical thinking, to provide integrated knowledge in line with an actual social structure. «We have too many teachers and too few facilitators of learning. Education should empower us to cooperate», – said the educational psychologist. 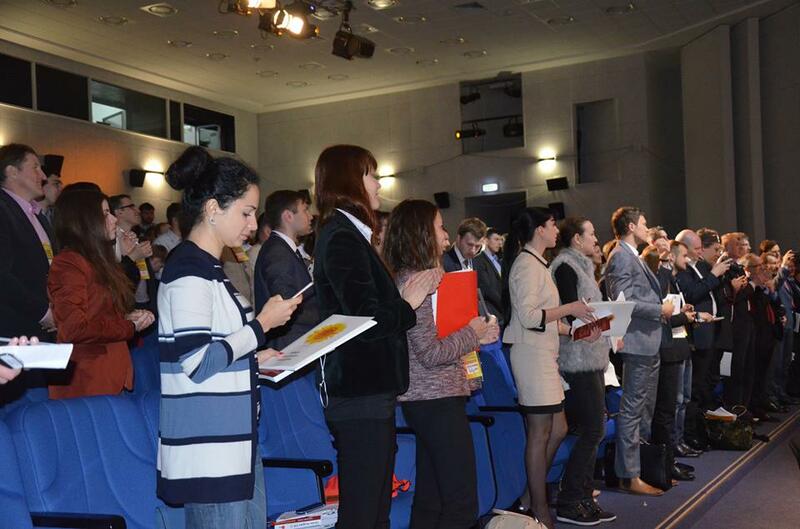 Cooperation and responsibility of each person became the core issues of the conference. «In fact, the new paradigm has been demonstrated in Ukraine during the recent painful transformations. Volunteer services, that emerged on Maidan, and the volunteer movement supporting the army now are doing it without government instructions or pay. They do it out of the sense of obligation to the fellow citizens, to the country. Also, they do it in cooperation. Until now people were harshly competing for their rights. The two keys of the new paradigm are shift to the Universal Declaration of Human Obligations and to more cooperative way of relationships», – said Bohdan Hawrylyshyn, President of BHCF, an academic, public person and social activist. Foreign and Ukrainian speakers suggested that Ukraine could become a model of the new paradigm for the world. However, Ukraine should analyze its history and deal with some stereotypes within the country and abroad. 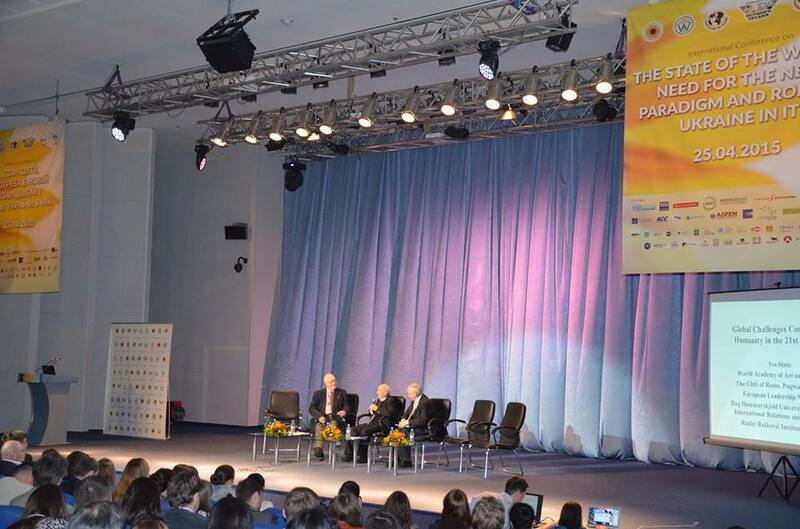 Volodymyr Ogryzko, former Minister of Foreign Affairs insisted on the necessity for the future young leaders to be ready to react appropriately to security issues. In his view, Ukraine should be strong economically, it should establish strong military services and be part of the collective security services. In his speech, Volodymyr Ogryzko also emphasized the necessity of Ukraine to join NATO, since it is the instrument which helps best to understand what the security is. «The world would like to return to the business as usual. It used to perceive Russia as a core nation of the East and orthodox world. Some Western scholars continue to consider returning Ukraine into a zone of Russian influence as more realistic than the implementation of Ukraine's European choice. For a long time Ukraine was perceived as a bloody land, then as a land of corruption and now it’s perceived as a trigger of the global crisis. However, it doesn’t mean that something is wrong with Ukraine, there are wrong expectations of Ukraine. Maidan showed how strong the Ukrainian aspiration for freedom is and what new values, especially the priority of human obligations, Ukraine can bring to enrich Europe and the world», – echoed Myroslav Marynovych, Vice Rector of the Ukrainian Catholic University. «Russia wages an information war that is more dangerous than a military aggression. It undermines the ability to distinguish truth from lie. Until now we considered truth as the golden mean between different pieces of information. However, now we see a huge amount of fakes that destroy the information system and prevent us from finding the truth. Article 1 of the Universal Declaration of Human Obligations, considered as a basis for the new paradigm says: « Speak the truth, be honest, act according to moral ethical standards ». In such way Ukraine can restore the ethical dimension of the truth». Under these conditions Ukraine cannot ignore its past, but has to conceive it effectively. «The democracy and the GDP level, as researches have shown, in fact, are determined by the dominant values of the society, – said the known historian Prof. Yaroslav Hrytsak. – Values couldn’t be changed swiftly, because they are determined by history, the dominant religion, imperial or colonial status. However, the conclusion that there is nothing to do because we can’t change the past, would be wrong. There are changes. Change of generations helps to change values». Youth often acts as a driver for radical social and political changes. Ukrainian Revolution of Dignity isn’t an exception. As Valerii Pekar said, this Revolution, which still continues, consists of three revolutions: economic - fight against oligarch system, geopolitical - national liberation movement, and the Revolution of Dignity - fight for new values. The driving forces of the revolution are, respectively, the middle class, romantic nationalists (like European nationalists in 19th century), and youth. Their objectives are, reforms, real independence, human capital development, a new culture and values. New culture, new beliefs extend through all the strata of the society. «What is the new paradigm? It’s a set of rules people believe in and follow. We can see these new beliefs, for example, in business. Today many businessmen demonstrate zero tolerance to corruption, to privileges for a few, to unfair competition. A year ago this attitude was different», – noted Volodymyr Lavrenchuk, CEO of Raiffeisen Bank Aval. These beliefs and values give much more results than laws. They urge people to implement reforms and lead to a transparent competition. «I see a huge number of business people who share responsibility for changes in the country, join reform teams, join the government, investing their time, willingness and knowledge in changes», – said the banker. «Revolution of Dignity was a pivotal point in a shift to the values of dignity and freedom. Things do not function as they used to be. Don’t expect that someone will take care of you. We need selfresponsibility, ability to self-organization, finding compromises and negotiating, working as a team, thinking of what we should do for our country. The West is open to us, but the success of Ukraine is our own responsibility», – said Dmytro Shymkiv, the Deputy Head of the Presidential Administration of Ukraine. Self-responsibility, active civil society and national consensus are the basis for development within the new paradigm. Bohdan Hawrylyshyn summarized: «Start with yourself. Consider whether you can change yourself. With such approach, Ukraine will become an incubator for new values, new forms of relationship and new ideology. The basis for the new paradigm, as we already mentioned, is the list of human obligations and the shift to cooperative way of interacting. Ukraine will help the world, offering it new values, based primarily on our own experience». The conference ended with a concert by a string ensemble in a universal language, an inspiration for our future work.